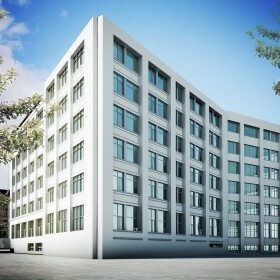 The largest real estate project filed with the city last month was a plan to revamp yet another one of the former Jehovah’s Witnesses properties in Brooklyn. 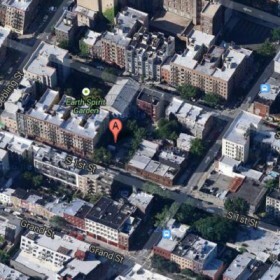 Plans were filed for 547 new condominium units in Brooklyn in June. With that figure, the total number of new residential filings during the first half of 2018 eclipse any full year since the recession. The devil is in the details for developers, who in a packed luxury condo market are competing over a limited number of qualified buyers. A 13-story mixed-use building on the site of a onetime coffee warehouse is heading to South Williamsburg. 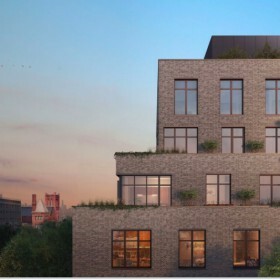 Developer Jeff Gershon envisions 46 units over 30,478 square feet of residential space at 196 South 1st Street, near Driggs Avenue and Roebling Street. This pre-Civil War, mid-block building was transformed by Jeffrey Gershon of The Gershon Company in 2006 into one of the most modern glass and dark metal façades in Greenwich Village. The building formerly housed the Sullivan Street Playhouse where "The Fantastiks" ran for more than 40 years until 2002. 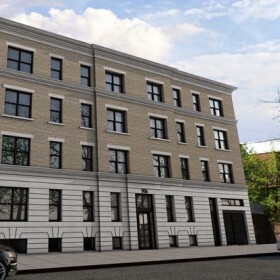 Developer Jeffery Gershon has unveiled the one-time Williamsburg warehouse at 55 Hope Street as a 117-unit rental conversion. 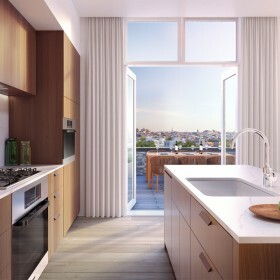 Gershon says 55 Hope is a nod to mid-20th century Brooklyn, featuring loft living in a synthesis of classic architecture and modern amenities. 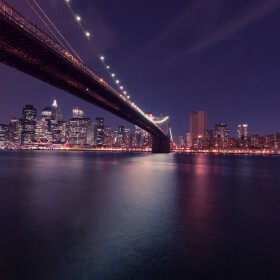 In 2004, The New York Times published an article called “Outer Borough Meets the ‘In’ Crowd.” They were talking about Queens, where, at the time, the average price per square foot for a co-op was a mere $250-400 per square foot… the average price has soared as quickly as its waterfront towers. Of course, no tour can compensate for a building with fundamental flaws like poor design or an unappealing location, according to Sha Dinour, partner at Hope Street Capital. 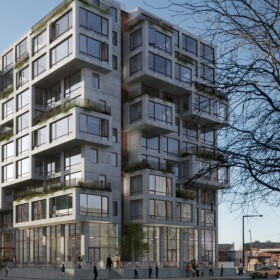 The developer’s 38-unit Boerum Hill condo project, the Hendrik, is using VR for sales (with pricing from $1.1 million for a one-bedroom to $4.6 million for a four-bedroom). 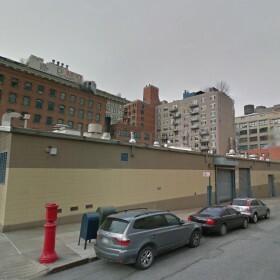 Last week, a Jehovah’s Witnesses-owned single-story Garage in Dumbo sold to a developer; now plans have been filed for the site located at 74 Adams Street (with an alternate address of 98 Front Street). YIMBY first reported on the plans, which will see the creation of 165 apartments spread out over 10 floors. Developer Jeffrey Gershon has closed on his $60 million purchase of the Jehovah’s Witnesses building at 74 Adams Street, one of the religious group’s last remaining parcels in Dumbo. Another piece of the Kingdom is gone. 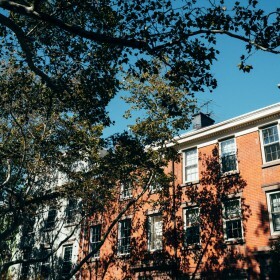 On Wednesday, the Jehovah’s Witnesses announced the sale of one of the last remaining properties in their once-massive Brooklyn real-estate portfolio. 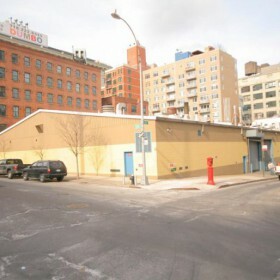 A vehicle-repair garage currently stands on the property they sold, which is 74 Adams St. in DUMBO. 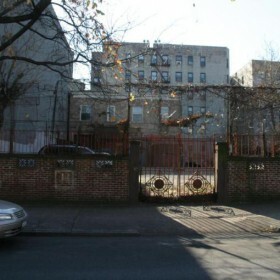 The Jehovah’s Witnesses have sold yet another of their Brooklyn properties as they make their move to upstate New York. This time, it’s a single-story repair garage at 74 Adams Street in Dumbo. The move is the latest in a long line of Brooklyn sales for Jehovah’s Witnesses. 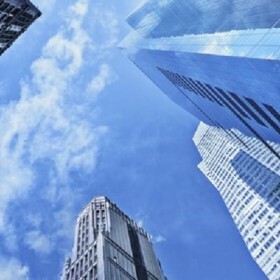 Developer Jeffrey Gershon entered into contract to buy the group’s building at 74 Adams Street for $60 million in May, while Clipper Realty snatched up the organization’s building at 107 Columbia Heights in February for $87.5 million. 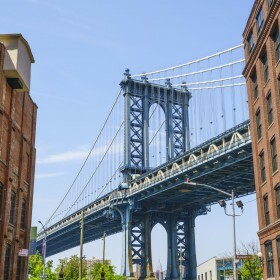 Developer Jeffrey Gershon is in contract to buy one of the last remaining Jehovah’s Witnesses parcels in Dumbo for close to $60 million, or nearly $400 per buildable square foot, The Real Deal has learned. 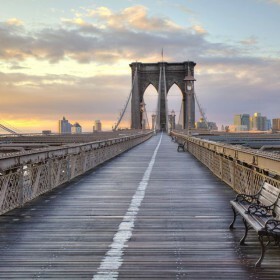 Stroll the 11 blocks of Manhattan’s riverfront East End Avenue, and you’ll notice a remarkable absence of city noise. 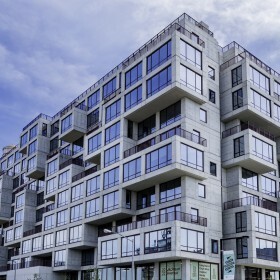 Brooklyn, NY Developer Hope Street Capital has topped The Hendrik. 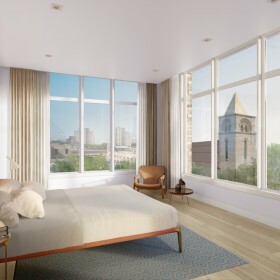 The $85 million development, located at 509 Pacific St. in Boerum Hill, will feature open and light-filled residences when complete. Occupancy is expected for winter 2017-2018. Permits were filed in August 2015 to replace the Walgreens at 509 Pacific Street, in Boerum Hill, with a mixed-use condominium building. That building, dubbed The Hendrik, topped out recently. When you’re looking for a new apartment, a place that’s also a fit for Fido is important. Luckily, some of the city’s best real estate is pet friendly and sure to make your furry friends feel at home. Seven apartments at the Hendrik have sold for an average price of $2.8 million, or $1,547 per square foot. 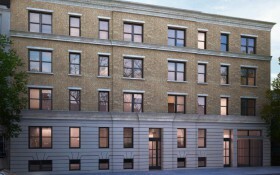 Eight apartments are under contract at the building, with an average asking price $2.1 million or $1,573 per square foot, according to StreetEasy. 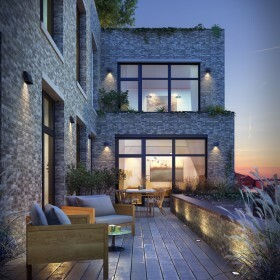 You may want to take a look at Brooklyn’s most charming new development in Boerum Hill-a neighborhood fast becoming the buzz of Brooklyn real estate. 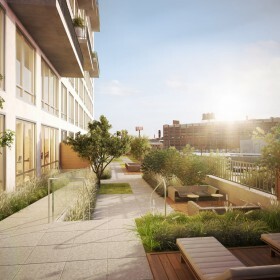 Hopestreet’s the Hendrik is a six story, 33 unit building featuring two to four bedroom condos in the close-knit community in the midst of all the excitement and energy Brooklyn has to offer. It's fall, y'all—or at least, it's getting close—which can only mean one thing: the real estate market is about to pick up, and quickly. And of course, that can only mean one thing: it's time to look at the many, many, many apartments—both rentals and condos—that will be hitting New York's real estate market in the next few months. 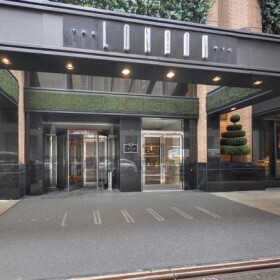 Luring buyers with deep pockets means pulling out all the stops for pricey condos. Hopestreet’s the Hendrik flaunts neighborhood feel. 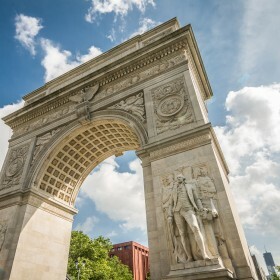 You may want to book a spot in one of Brooklyn’s most charming locales with an exciting new development in Boerum Hill — a neighborhood fast becoming the buzz of Brooklyn real estate. 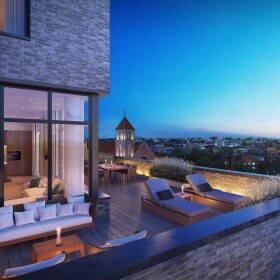 Hopestreet’s The Hendrik, the fruit of a partnership with Beyer Blinder Belle Architects & Planners. 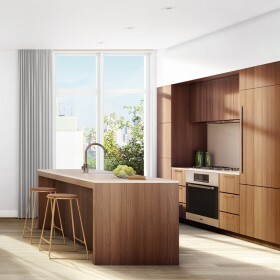 Sales have begun at The Hendrik, a new Boerum Hill condominium with 33 spacious residences. 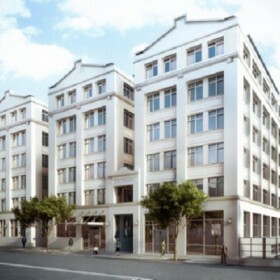 Located at 509 Pacific Street, the Hendrik was developed by Hopestreet and designed by Beyer Blinder Belle. 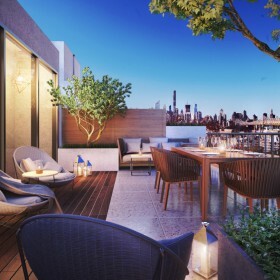 The 33 units range from two- through four-bedrooms priced from $1.625 million, three bedrooms are priced from $2.5 million, and four-bedrooms are priced from $2.9 million. 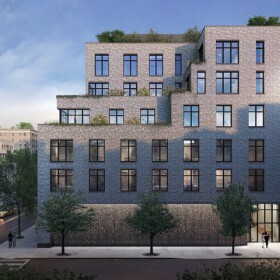 Last fall…developer Jeffrey Gershon had picked up a fairly large lot at 906 Prospect Place in Crown Heights for $3,500,000. 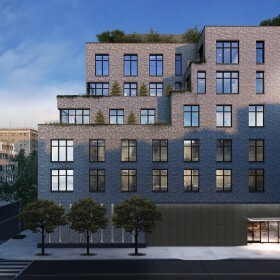 Now he’s filed a new building application to erect a five-story condo building on the plot between New York and Brooklyn Avenues. 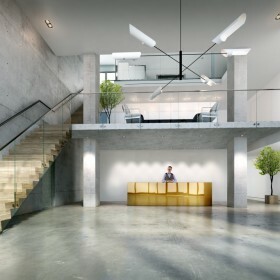 Long Island City’s newest luxury rental building, 2222 Jackson, is 60 percent leased. The architecture firm behind 2222 Jackson recently received an award in the 2016 Society of American Registered Architects (SARA) Design Awards Program (Housing category) for its work on the building. 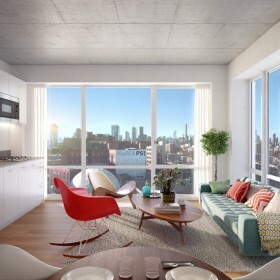 The most new and noteworthy developments coming to Brooklyn. The Real Deal, being a real estate publication, mostly sticks to the latter. 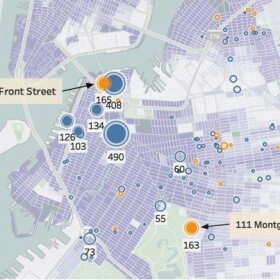 The top five most-taxed buildings represented the diversity of Brooklyn rentals, spanning five neighborhoods from Williamsburg to Red Hook. 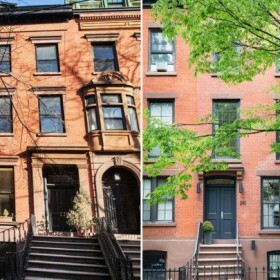 Boerum Hill, a quaint enclave known for its stately stock of brownstones, will see a batch of larger structures arrive-activity that is a strong sign of a neighborhood in flux. 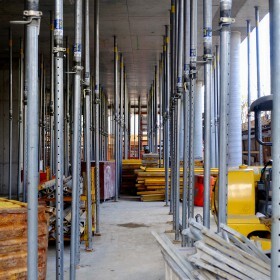 Developers say they’re simply filling a void, industry sources say. Ah, the joys of being the first person to live in an apartment! Especially when you don't have to shell out millions of dollars to do it, and don't have to pay a fee. In fact, we can't get over how reasonably priced this $3,853 two-bedroom is, seeing as it's right across from PS1 in Long Island City. The 11 Story Building has 175 apartments. 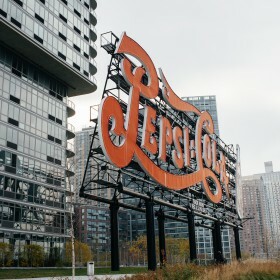 Several rentals are already in contract at ODA New York’s Long Island City building just two weeks after leasing launched in the building. Of the 25 units listed on Street Easy, 11 have already gone into contract. 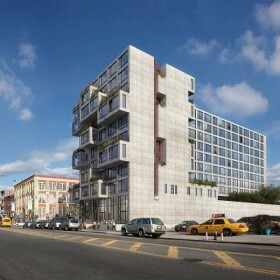 Apartments in the box-style building located across the street from MoMA PS 1 are now available. 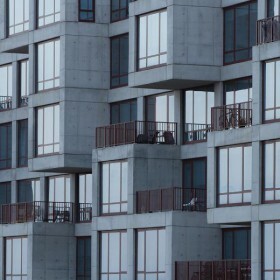 The building has been described by its designer as blurring the line “between functional design and a work of art.” “2222 Jackson Avenue presents a playful façade where the projected bays offer outdoor spaces to the apartments”. Put some spring in your step! If you’re on the market to buy or rent a brand-new apartment this season, you’re in luck. A flurry of spiffy condo, co-op and rental developments are set to launch this spring — and not just in Manhattan. 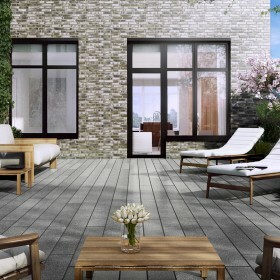 Boerum Hill is really heating up, with a host of projects entering the market this season. 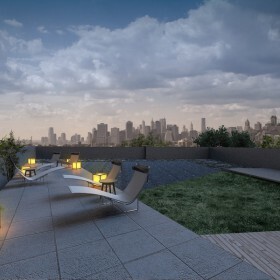 Curbed NY has updated details on the project. The 114,812-square-foot building, dubbed the Hendrik, will actually feature 33 residential units, averaging 1,680 square feet apiece. The apartments will be condominiums, ranging from two- to four-bedroom configurations. Developers are transforming the architectural landscape of the entire city, re-sculpting its skyline. There's no denying that interesting and possibly more affordable residential projects with enticing amenities are cropping up everywhere. Our round-up continues with new construction and conversions all over the increasingly buzzy Queens. 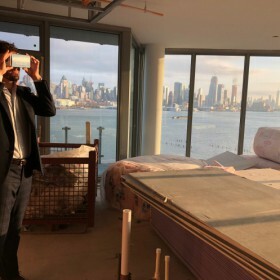 ODA’s cantilevering building rising in Long island City is hitting the rental market this spring, but looks into the new building have been limited-until now. Construction is humming along at the ODA New York-designed rental building at 22-22 Jackson Avenue in Long Island City, dubbed 2222 Jackson. Now, a teaser site has been launched in preparation for leasing, which is expected to begin in March. 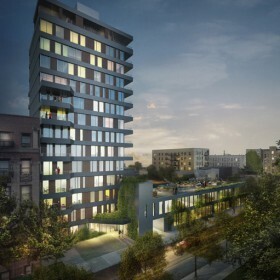 Throughout Crown Heights, new residential developments have been built or are in the planning stages including .....developer Jeffrey Gershon’s proposed 20-unit project on Prospect Place between New York and Brooklyn Avenues. Developer Jeffrey Gershon of Hope Street Capital has locked up the entire southern blockfront of Atlantic Avenue, between Vanderbilt and Clinton, with 99-year leases for two sprawling parcels at 529 Vanderbilt and 809 Atlantic. It is expected to take on a 550 Clinton address. 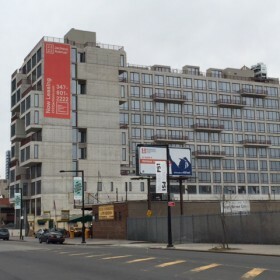 One of the most exciting projects in Long Island City is 22-22 Jackson Avenue, an ODA-designed building across the street from the 5Pointz redevelopment and MoMA PS1. At 22-22 Jackson, the architectural practice led by Eran Chen has designed one of his boxiest projects to date. 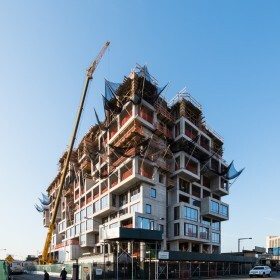 ODA's jumble of concrete boxes in Long Island City, 22-22 Jackson Avenue, has topped out. 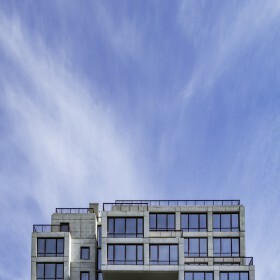 The 11-story, 175-residential-unit mixed-use building is composed of an exposed concrete exterior wall, a growing trend in New York. 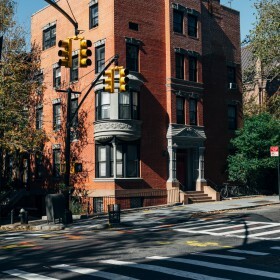 Multifamily developer Jeffrey Gershon purchased a development property for $3.5 million in Crown Heights, Brooklyn at 906 Prospect Place between New York Avenue and Brooklyn Avenue. We’re checking in on ODA’s mixed-use development at 190-196 South First Street in Williamsburg. The proposed 13-story building on the corner of Driggs Avenue would have 46 apartments, according permits filed in September. 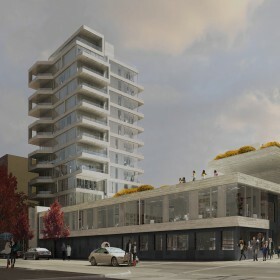 Williamsburg is getting some ODA Architecture action in the form of a new mixed-use building at 196 South First Street. The 13-story, 46-unit development, located between Driggs Avenue and Roebling Street, will have 30,478 square feet of residential space, according to the plan exam application filed September 25th. After much anticipation, developer Jeffery Gershon unveils the old Williamsburg warehouse at 55 Hope Street as a 117-unit rental conversion. Gershon recently completed a successful ground up rental building at 360 Smith Street. 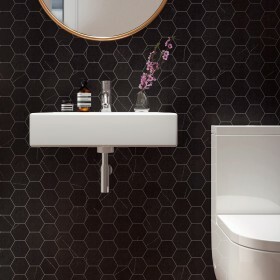 55 Hope is a timeless nod to mid-20th century Brooklyn. 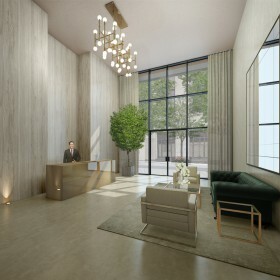 Developer Jeff Gershon is pleased to announce his latest project, 181 Sullivan Street, currently rising on the site of the former Sullivan Street Playhouse in Manhattan’s Greenwich Village. Designed by ADG Architects, the new 5-story building will feature five full-floor condominium residences, including one garden duplex.